The Roger Williams Park Zoo is the country’s third oldest zoo and one of the many things to do in Providence. Named after Providence’s founder, it’s home to over 160 animal species on 40-acres of land – including a Komodo dragon, African elephants, giraffes, and more. The zoo has a carousel, train ride, and a new zip line adventure. In October, guests can witness the Jack-O-Lantern Spectacular, which is a display of over 5,000 illuminated pumpkins along the Wetlands Trail. Two museums in Providence are the Rhode Island School of Design Museum and the Providence Childrens Museum. RISD boasts 91,000 works of art which include works from Monet and Degas and Medieval and Gothic collections. The Childrens Museum provides hands on exhibits and programs for children ages 1 to 11. There are two theatre companies in Providence – the Providence Performing Arts Center or PPAC, and Trinity Repertory Company. The PPAC is the 2nd largest theatre in the country with a 3100 seat venue and has launched 13 national tours including Rodgers & Hammersteins The King and I in 2016. Trinity Rep puts on an average of six performances per year, which includes it’s annual rendition of A Christmas Carol – a holiday tradition. If you’re a sports fan, some things to do in Providence is to catch a Providence Bruins or Pawtucket Red Sox game. The Bruins play at the Dunkin Donuts Center, locally known as “the Dunk.” Although not located within Providence, the Pawtucket Red Sox play only a few minutes away from downtown Providence in Pawtucket, Rhode Island. Providence is a major city. These are only just a few of the things to do in Providence. 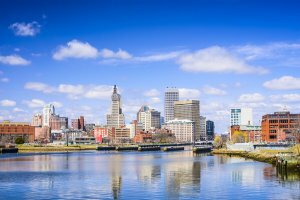 Some other things to do in Providence are to check out the historical districts of Thayer Street, Federal Hill, Downtown Providence, and the State House.